ANNOUNCEMENT: We have unfortunately ended the Brochure Sales Based Fundraising Program as of January 2019. We still offer a Candy Bar Sale Fundraising Program. If interested, please reach out to us at 570-343-0536! DCK’s Easter Candy Fundraiser is the perfect way to raise money for your school, club or organization! We offer all your favorite Dunmore Candy Kitchen chocolates and seasonal novelties, including our most popular hand made milk chocolates, egg-shaped gourmet fudge and so much more. There is STILL time to start your 2018 Easter Fundraising campaign! Questions? Please give us a call at (570) 343-0536. 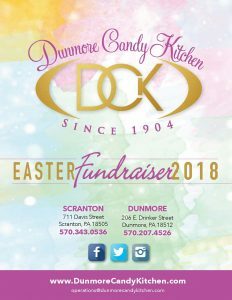 Click here to download our entire 2018 Easter Fundraiser catalog and see everything that Dunmore Candy Kitchen has to offer! 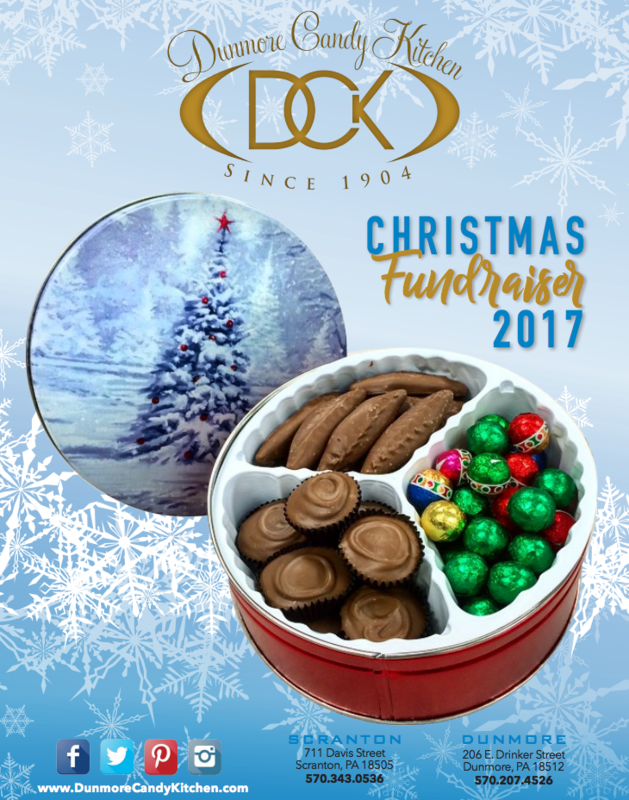 Check back in the Fall for our Christmas 2018 Fundraiser Brochure!